To determine the weighted incidence of hearing impairment in a standardized population of at risk and not at risk neonates seeking care at a tertiary level hospital in India. A prospective study of a nonrandomized cohort of 1769 neonates (1490: Not at risk; 279: At risk) from a total of 8192 neonates (6509: Not at risk; 1683: At risk) who sought care at St John’s medical College hospital from 1st September 2002 to 31st March 2006 were screened for hearing impairment using transient evoked otoacoustic emissions. Weighting was performed using the expected value of 10 % at risk and 90 % not at risk infants in a typical tertiary care level center in India derived from the National Neonatology and Perinatology database 2002–2003. Z test and 95 % confidence interval was used to determine the external validity of the results. P less than 0.05 was considered as statistically significant. The power of the study is 90 %. The incidence of hearing impairment in infants screened was 10 per 1769 infants screened (1490: Not at risk; 279: At risk) which is 5.65 per 1000 screened. 279 at risk infants were screened and 3 were detected to have hearing impairment which is an incidence of approximately 10.75 per 1000 screened. Of the 1490 not at risk infants screened 7 had hearing impairment that is 4.70 per 1000 screened. If this was extrapolated to a standardized population consisting of 10 % at risk and 90 % not at risk then the incidence would be 5.60 per 1000 screened with a 95 % confidence interval of 4.13–7.06. This narrow 95 % confidence interval with a p equal to 0.001 indicates that this value may be close to the caseload in a typical tertiary care center. In this study the incidence of hearing impairment is 3 per 279 in at risk infants screened and 7 per 1490 in not at risk infants screened. 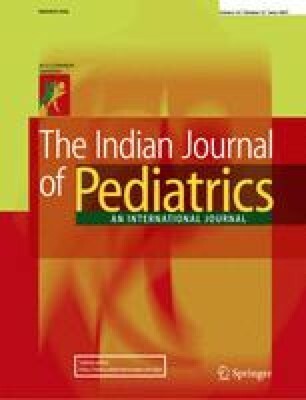 The weighted incidence in a standardized population of neonates seeking care at tertiary level center in India is 5.60 per 1000 as per this study. This high incidence calls for all pediatricians to consider incorporating a basic hearing screen for all the neonates using cost effective and appropriate technology. Initial screening may be performed using behavioral observation techniques and confirmation by otoacoustic emissions.